Time is short. And as a golfer, you can live a better life by having the links experiences you've always dreamed about. From playing with a Tour pro to seeing Augusta with your own two eyes, unforgettable experiences abound. Sure, it might cost you a buck or two, but a lasting golf memory is practically priceless. Any person who's ever taken a backswing yearns to play the Old Course at St. Andrews, the birthplace of the game and the most influential 18 holes in golf. Unfortunately, tee times are limited—demand for them is not. 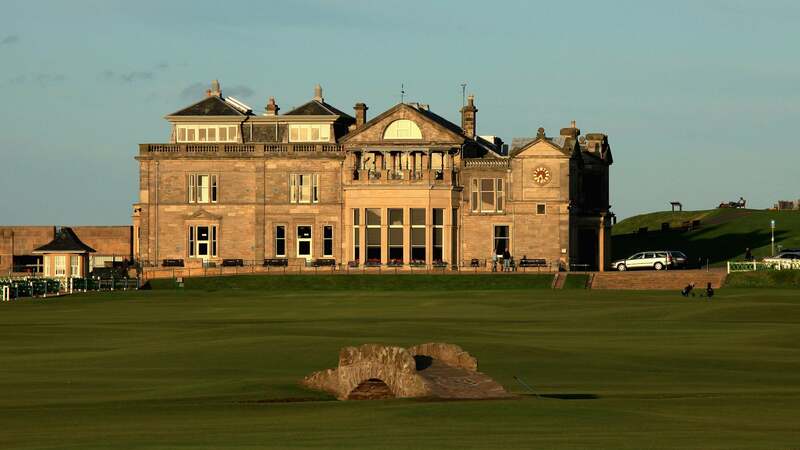 How To Pull It Off: Your best bet is to apply directly to the St. Andrews Links Trust, either by phone (011-44-1334-466718) or e-mail ([email protected]), during a two-to-three-week window that customarily commences in late August and concludes in mid-September. Winners of this lottery are notified in October for tee times the following spring and summer. There are restrictions and requirements, so pay close attention during the application process. The payoff, if the lotto ball rolls your way, will be worth the price and the wait. The Backup Plan: Other methods of gaining Old Course access include the Daily Ballot (enter by phone or in person, 48 hours before the day of play) and the Single Golfer walk-up (hit or miss). New for 2018 will be what's called "authorized providers," generally well-respected tour operators, such as PerryGolf, that have been licensed by the St. Andrews Links Trust and who can offer guaranteed tee times. Yes, you'll pay a stiff premium (PerryGolf's packages start at $2,895 per person, based on double occupancy), but this route guarantees your dream round—and a walk where Old Tom, Young Tom, Bobby, Jack and Tiger have all captured titles. Every year, June 6th commemorates the anniversary of D-Day, when more than 160,000 Allied soldiers landed along a 50-mile stretch of Normandy beach in an effort to liberate Western Europe from Nazi Germany occupation. Although fighting was heavy, the Allied forces secured a foothold for the future of Europe. If you're looking to visit the site of this remarkable event in American and world history, and in a way that appeals to golfers, you're in luck. How To Pull It Off: Step aboard the Sea Cloud II for Kalos's Normandy Golf Cruise. A leader in small luxury golf cruises, Kalos and the Sea Cloud II impress with personalized service, comfort and shoreline access. On your journey, you'll crisscross the English Channel and play courses as diverse as England's Royal St. George's (13 times the site of the Open Championship) and Chantilly Golf Club, one of France's loveliest layouts. Between rounds, you'll make informative if sobering stops at Omaha Beach, the cliff-top battleground of Pointe du Hoc, and the American Cemetery and Memorial, in Colleville-sur-Mer. Any year is a good year to make this voyage (prices start at $9,965 per person); 2019 will be particularly special, as it marks the 75th anniversary of D-Day. Whether you're a wide-eyed first-timer or a savvy vet, nothing in sport compares to making the pilgrimage to Augusta National. At least once in your life, you must experience the Masters in person—the drive up Magnolia Lane, the thrills at Amen Corner, and tall tales and cocktails beneath The Big Oak Tree. How To Pull It Off: An April visit to Augusta remains one of the toughest tickets in sports. (Even the waiting list to purchase badges has been closed for years.) But we have our ways. If you're among the fortunate few who ace the Masters lottery, you can wind up with as many as four tickets for a Monday, Tuesday or Wednesday practice round, at $75 apiece, or tickets for Thursday-through-Sunday's main event, at $115 apiece. More realistically, you'll have to pay a broker for entry. On StubHub in mid-March, Monday tickets often sell in the range of $450–$465 apiece. Compared with Tuesday ($625 and up) and Wednesday ($1,350 and up), a Monday visit makes sense. But we recommend you shoot for Wednesday. A hump-day ticket lets you watch the pros make their final preparations in the morning, catch the par-3 tournament in the afternoon, then walk the iconic course in near solitude, without golfers or galleries. Taking In "The Show": In a typical year, badges for the four-day tournament slate (Thursday through Sunday) go for just under $5,000 via brokers such as StubHub or TicketCity—provided you're shopping in January. If you wait until the week before the Masters, though, those prices climb to $7,000 to $8,000. A daily badge will run you from $1,500 to $2,000. For the certainty of having a ticket in hand, buying from a reputable online ticket broker is the way to go. Your Backup Plan: If you're willing to risk a little uncertainty, you can show up in the vicinity of Augusta National on the day (or the day before) you wish to attend and attempt to purchase a ticket from scalpers, who are almost always licensed brokers. These folks set up shop near the club, typically along Washington Road. You'll want to look for someone in a folding chair with a sign that says NEED TICKETS. Late in the day, if a seller has excess inventory, tickets might be discounted by up to half. The same holds true on bad-weather days or ones with the threat of bad weather. If you're very patient and a little lucky, you might find yourself on Augusta's grounds for less than two c-notes! Amen to that. Many of the sport's top equipment companies and independent club-fitters offer the promise of improved performance through custom-made clubs. No one does it quite like Parsons Xtreme Golf (PXG). How To Pull It Off: In its brief history, the Scottsdale, Ariz.–based upstart has made significant breakthroughs—both in its equipment and its rep among the pro ranks. If you want to be treated like a rock star (or rather, a Tour pro), sign up for the PXG Xperience. The three-day, two-night package includes chauffeured transport from the airport, lodging at the Four Seasons Resort Scottsdale, a tour of the company's headquarters, an outdoor clubfitting at ultra-exclusive Scottsdale National Golf Club, a putter fitting, meals, a new golf bag, three rounds of golf with a PXG ambassador, and, of course, your sparkling new sticks. The cost starts at $17,500. But it's hard to put a price on your playing partners' jealous faces when they see your custom-fit arsenal. Clubbing Up: The Ultimate PXG Xperience features much of the above—but doubled, for two people. It also includes special accommodations; private air transportation on a Bombardier Challenger 350 from anywhere in the Continental U.S.; and one-on-one hang-time with PXG's chief ambassador, its owner and founder, Bob Parsons. The damage? A cool $100,000. But hey, you only go around once. An undeniable, one-of-a-kind thrill for any weekend golfer is to play a loop with a Tour pro. Typically, these are one-day affairs, and they're a blast—a test of your nerves in front of a gallery. You also leave armed with great stories and some top-shelf playing tips. How To Pull It Off: Lots of PGA Tour Champions and LPGA Tour events offer this enviable experience, but for many people the ultimate dream is teeing off alongside the game's elite: the long and strong of the PGA Tour. Among the best of these opportunities are, for crowd size, the pro-am at the Waste Management Phoenix Open; for staggering beauty, the pro-am at SBS Tournament of Champions on Maui; and, for history (and maybe a TV cameo), the AT&T Pebble Beach National Pro-Am. Still, our vote for the best Tour pro-am is the CareerBuilder Challenge, a tournament previously known as both the Bob Hope Desert Classic and the Humana Challenge. You get superbly groomed courses backdropped by mountains, excellent January weather in the desert communities near Palm Springs, Calif, and a chance to shine. After all, it's just you and a different Tour pro for each of three days, with a possibility of a fourth round for the select few who make the three-round cut. Included is a "welcome and pairings" party, six-to-seven days of golf, VIP access and hospitality for evening entertainment and, for luxury-suite viewing, membership to the Bob Hope Club. The price is $25,000 if you sign up before June 30 of the year preceding the January event ($29,000 for latecomers). But the good news? A bulk of the entry fee is tax deductible, as tournament proceeds go to charity. Hey, to play inside the ropes with a PGA Tour star, you're gonna shell out a few shekels. That said, the good vibes of giving—not to mention the memories—will go a long way. Not many serious golfers include France on their bucket list, but in 2018 they should. Le Golf National's Albatros course, 40 minutes south of Paris in Guyancourt, will host the Ryder Cup in late September. The annual home to the European Tour's French Open, Le Golf National administers a stern test, with two island greens among its final four holes. If you're looking to fly the Stars and Stripes and cheer on Team America to victory, voila! How To Pull It Off: Let Premier Golf, the PGA of America's exclusive distributor of official Ryder Cup packages, do the work for you. For $5,595 per person, you'll get five nights' accommodations, daily breakfast, a Thursday-through-Sunday badge to the event, round-trip transportation to the course, and a Ryder Cup welcome gift. Sightseeing excursions include the Palace of Versailles, just 20 minutes north of Le Golf National; pre– and post– Ryder Cup golf possibilities include hops to Scotland, Ireland and other top French tracks. There's nothing in all of tournament golf like the energy that surrounds the Ryder Cup. And of course, there's no city like Paris. So, hit the road, Jacques!